Katiria Florent, a professional stylist and Founder of MOMS IN THE PARK, is a young, vibrant and determined mom of 2 who has been a big part of Moms Pump Here. As a firm believer in public breastfeeding she and her beautiful daughter, Lana, have been non-stop since Lana’s birth making a difference in the lives of moms just like her. Katiria has been in the hair industry for 13 years and loves to educate her clients on the basics of hair color and maintaining healthy luscious curls. It was natural for Katiria to follow her passion of beauty, helping women feel their best both inside and out. In 2013, she became a Team Beachbody Coach and believes it was one of the best decisions she ever made. How your business got started? I introduced MOMS IN THE PARK as a daily get together to moms dropping kids off to summer camp. At drop off I'd invite moms that I came across for a quick 30 minute workout. At first it was one mom then two moms then three moms. I dedicated my mornings to being at the park for the moms that wanted motivation and a quick start to a journey that would change their lives. 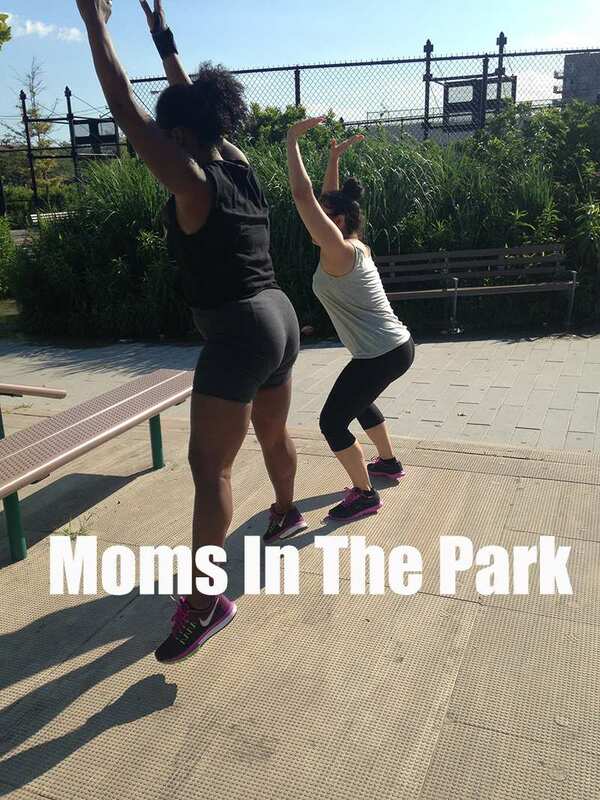 I now offer MOMS IN THE PARK to challenge groups. I build a community of challengers with like fitness and health goals. We stay connected through Facebook chat groups. Its daily interaction and accountability. We encourage one another to keep the path we committed to. What you think is unique about your business or service? I offer unique person to person interaction. When someone contacts me about joining my challenge I offer a meeting place. I want everyone that joins to know how serious I am about their success. I only allow serious challengers and the hardest part is proving to busy moms that success is possible. Most of them quit on themselves and don't complete fitness programs the first time. How do you balance being a mom and your business goals? Life is all about balance, which we all struggle with. As a new mom time is of the essence. I still style clients at home and in the salon a few days a week. As well as meet up with moms to get them started on their fitness journey. What exciting things are coming up with your business? Every two weeks a new challenge group begins. The group consists of five to six women/ moms who start an at home workout program. We all follow a meal plan, give advice on how to overcome common unhealthy eating habits and best of all hold one another accountable. As a Beachbody Independent Coach you have the flexibility of working your own hours. My target market is moms because we give our all to raise a family. We lose ourselves along the way. So if I can help just one mom gain back her time and beauty and self-esteem, I feel success. I know this is so cliché but my drive and motivation has come from my daughter Lana James. I want her to see her mom as a woman of power who never gave up. A woman who always completed what she said she would complete. A woman of her word who helps others feel the best they can about themselves.